Witch’s Court continues to do well, and it maintained its lead in Nielsen drama ratings during the Monday-Tuesday time slot this week while seeing minor overall increases compared to last week. Temperature of Love also saw some minor increases, but it is still well behind Witch’s Court. 20th Century Boy remained in the 2% range on Monday, but it finally pulled itself back up into the 3’s on Tuesday. Next week we will get double the episodes of 20th Century Boy and Girl as it plans to air two episodes per night Monday through Thursday as it concludes its run. 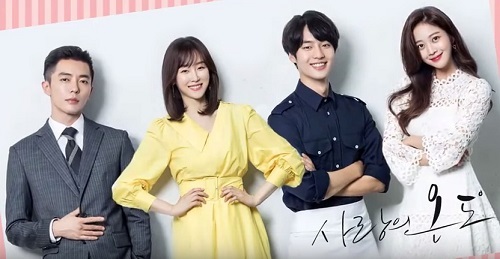 Temperature of Love airs Monday & Tuesday on SBS. Witch’s Court airs Monday and Tuesday on KBS. 20th Century Boy and Girl airs Monday and Tuesday on MBC. This entry was posted in News and tagged 20th Century Boy and Girl, Han Ye Seul, Jung Ryeo Won, kdrama, Kim Ji Suk, Korean Drama, Seo Hyun Jin, Temperature of Love, Witch's Court, Yang Se Jong, Yoon Hyun Min. Bookmark the permalink.